Following a definitive win on Tuesday over the Cubs, Cleveland and Chicago looked like they switched places last night. Trevor Bauer couldn’t follow up Corey Kluber’s masterful game one with a quality start of his own and struggled to find his command against the Cubs high-powered line-up. Despite only allowing two runs, Bauer completed just 3 2/3 innings throwing 87 pitches in the process as Chicago hitters seemingly took him deep into every count with Bauer fighting to find the strike-zone. Inverse of Cleveland’s second starting pitcher’s performance, it was the Cubs’ Jake Arrieta who mirrored Kluber’s game one performance. The Chicago ace couldn’t make a mistake through five innings of work as he rode a no-hit performance into the sixth before surrendering a double to Jason Kipnis. The Tribe’s second baseman eventually came around to score on a wild pitch accounting for Cleveland’s lone run and knocking Arrieta out of the game. While Kipnis was one of the few Indians who contributed at the plate, his two errors in the field cemented the Chicago win. A bobbled ground ball and a failed transfer after a Lindor diving stop allowed Chicago to tack on an insurmountable five runs in the freezing weather in Cleveland. The middle of Chicago’s order continued to give the Indians issues last night as both Ben Zobrist and Kyle Schwarber had two-hit ballgames. The newly returned from injury Schwarber drove in two runs in the process and Zobrist’s two hits boosts his average to a staggering .625 for the series. For Cleveland to turn the series back in their favor, the pitching staff will need to effectively quiet the Cubs’ break-out bats. 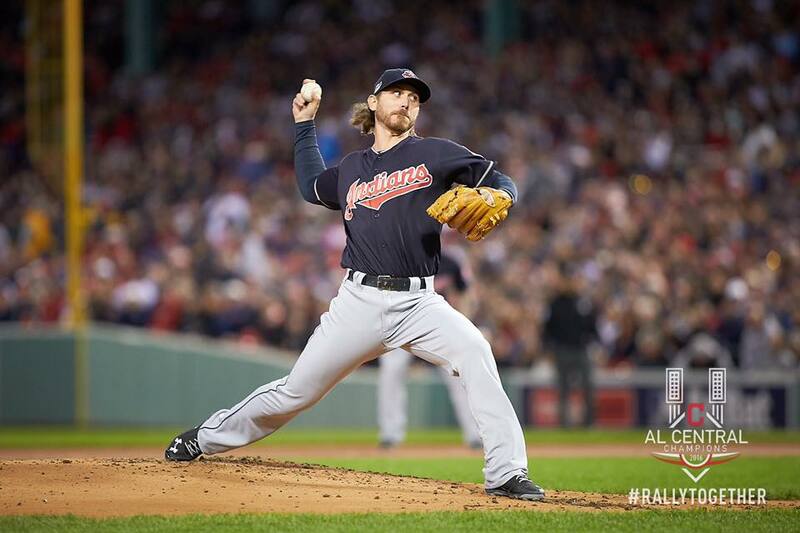 It will be Josh Tomlin’s job to continue his postseason success on Friday in Chicago in a pivotal game three. The Indians’ pitcher struggled throughout the majority of the season before finding his groove in the playoffs. His 2.53 ERA in the post season is nearly half of what it was during the year. And his outings in the previous two series held the game in place long enough for the dominant Tribe bullpen to come in to secure a victory. For Tomlin to continue his winning ways, he will need to find his control early and often. The Cubs have been making Cleveland pitchers pay for missing the strike zone whether it results in scored runs or not. Chicago’s offensive approach last night paralleled their at-bats against Andrew Miller in game one on a grand scale. But unlike Miller, Trevor Bauer does not have the stuff to get out from behind unfavorable counts. In both instances the Cubs were able to get the two Indians pitchers to miss early and often before drawing a walk or getting a hit. To combat that, Tomlin must pitch ahead and continue to get batters hitting ground balls the same way he did against Toronto. In game two of the ALCS, the Indians’ righty force 12 grounders from the Blue Jay’s line-up. Game three is slated for Friday at 8 p.m.